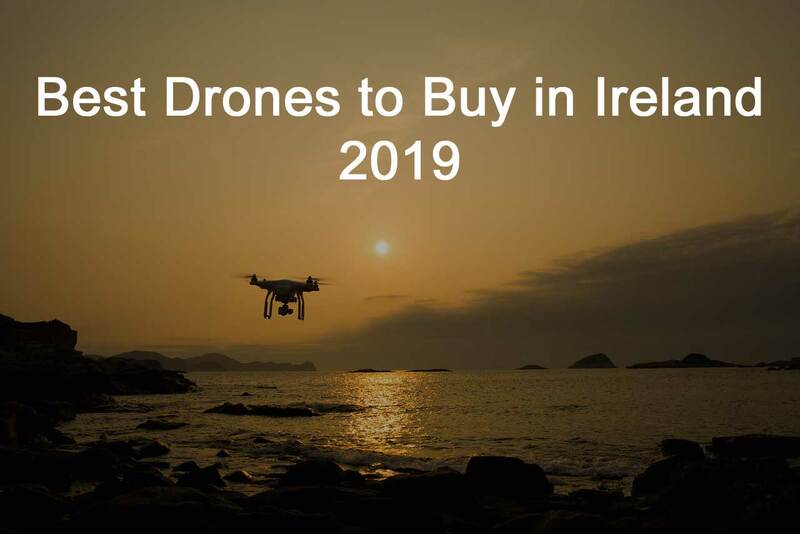 If you are planning to buy a drone in Ireland, here’s a list of 8 amazing selection. This is undoubtedly the top friendly camera done for pros and enthusiasts, and it only cost €1 499. Take to the skies of Ireland and enjoy shooting with the iconic Hasselblad image quality with 1-inch CMOS sensor, and cutting-edge obstacle avoidance system. Mavic Pro 2 is compact, foldable, and built with lightweight reinforced materials that makes it easy to pack and carry it along to any flying location or shooting expeditions. When in Sports mode, this quadcopter can fly up to 72km/h and is installed with a battery that offers up to 31 minutes of flying time. It is designed with Hyper Light technology for quality enhancement and equipped with OcuSync 2.0 technology that seamlessly delivers 1080p video transmission to up to 8km. With €439.99, zip through the air and capture amazing moments with DJI Spark drone equipped with stunning features such as a 180-degree vertical swivel camera that helps you get creative and capture every moment from a wide angle. DJI Spark shoots stunning and incredibly detailed aerial photos with the advanced camera and adjustable aperture technology that gives you more control over the lighting environment. DJI Spark drone features all DJI’s state-of-the-art signature technologies. It is designed with intelligent flight mode with FaceWare that helps the drone takeoff from your hands by recognizing your face. Its controls are intuitive and straightforward that allows you to take aerial photos using hand gestures and create aerial videos without using a remote controller. This drone is reliable, smart, and exceptionally intuitive. Revell Control C-Me is a beautifully packed and super-compact drone. This drone costs €135.84. It is simple and incredibly portable as it perfectly fits into your jacket, jean pockets, purse, or backpack. C-me is smaller than most smartphones so that you can always carry it. It also has an instant social sharing that takes you closer to everyone. Xiro Explorer V that costs €441.12 with one battery and €529.34 with two batteries. Xiro Explorer V is a compact drone designed to fly just as high and far as most large models. It is designed with advanced features such as Geo-fence that protect it from zipping out of operating range with a mode that enabes you fly the drone back home even when you don’t know which direction its nose is facing. Xiro Explorer V is very stable even in a windy environment, and its gimbal-mounted camera helps in taking photos and recording videos that are perfectly smooth. Syma X5SC is equipped with amazing features like gyro direction stabilizer with the most advanced 6-axis flight control mechanism, 3D lock, headless or intelligent orientation control (IOC) function, more scheduled flight performance, and many more that enhance stunning performance. Syma X5SC is designed with 360-degree eversion: A key 360-degree roll that delivers perfect actions and wonderful performances. This drone is equipped with HD Cam equipment that enhances smooth flight control and smooth shooting of pictures and videos. It is also fitted with Colorful Flashing Lights that makes night flights quite splendid. This Yuneec Q500 4K Typhoon features an exceptional on-board 3-axis precision gimbal camera capable of taking 4K Ultra HD video resolution ready to capture every moment with beautiful aerial videos and photos. The camera is designed with no-distortion lens technology that delivers crisp, clear video recordings and photos. This Yuneec is equipped with Rechargeable 5400 mAh lithium-polymer battery that offers an extended flight time. It also features ST10+ Ground Station with a built-in touchscreen that gives you total control over video resolution, white balance, and light adjustments. The 2.4GHz transmitter helps you to perform an array of precision aerial tricks, dynamic return home regardless of where the nose Is pointing, and Geo-fencing technology that protects the drone from flying out of the range. DJI Mavic Air starts at €555.70 . It’s built with lightweight materials with a super compact foldable design that you can take anywhere for magnificent video/photo shoots. This DJI Mavic Air supports 4K video at 30fps. It’s equipped with a three-axis gimbal that stabilizes the 12.0MP camera for smooth and detailed videos/photos even at high-speed motion. ParrotBebop 2 Power costs 798.99 €. It is designed with the best battery life of up to 30 minutes of flight per charge. It has a flight range of up to 1.2 miles with a maximum speed of 60km/hr in sports mode. It is designed with a comfortable backpack for effortless transport. For cinematographic shots on the go, Parrot Bebop 2 comes with intelligent flight modes that help you take high-quality aerial videos on the go.